1. December 2015. 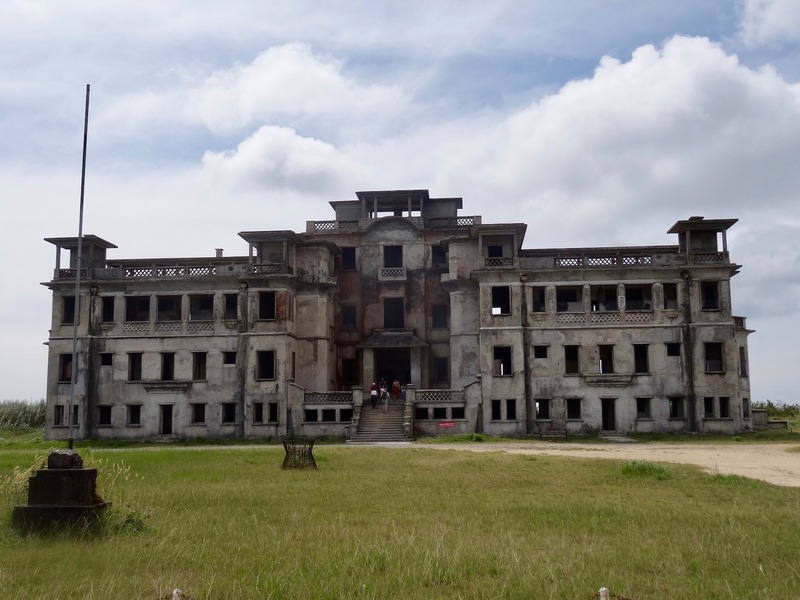 As a former French hill station back in the colonial days of the 1920s, a visit to Cambodia’s Bokor National Park is all about sweeping views and abandoned buildings. 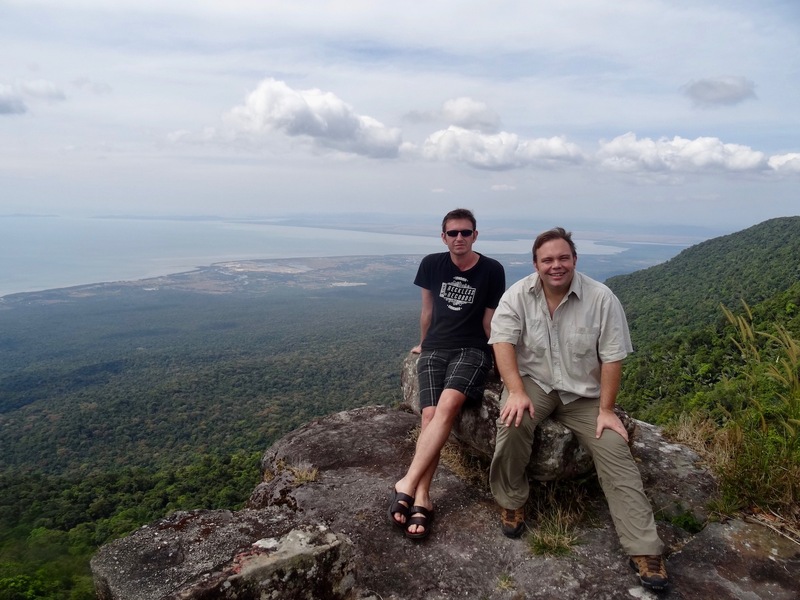 This Catholic Church was part of a French township built across Bokor Mountain. The door is always open, just wander inside and admire the crumbly interior where a simple altar still receives offerings. The church was also the scene of some pretty vicious fighting between Vietnamese forces and The Khmer Rouge in 1979. Under a barrage of gunfire, a group of beleaguered Vietnamese soldiers sought refuge in the church. Their fate remains unknown. 2. December 2015. There were some really amazing views that day from all over the park. But the best come just behind the abandoned church from this ideal viewing rock. Wonderboy and I had it all to ourselves for a bit and we were blessed with the weather, especially as I’d read that the mountain often suffers from thick mist. 3. December 2015. 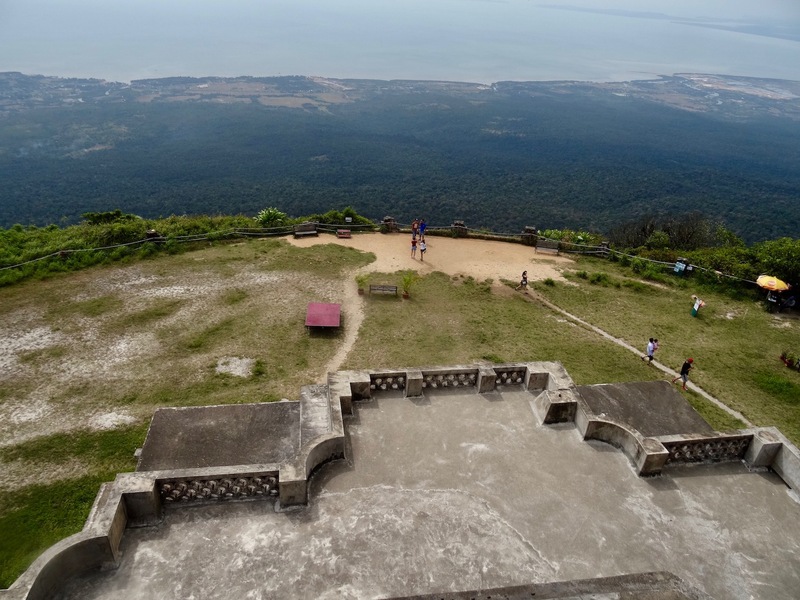 Bokor Hill Station is the national park’s main draw, originally conceived as a grand hotel resort for the French elite living in Cambodia’s capital Phnom Penh. Typically they would come here for pampering and to get away from the stifling heat of the big smoke. Later on in the 1950s when Cambodia gained independence, it morphed into a giant casino. 4. December 2015. You can wander around Bokor Hill Station’s ghostly interior as you please. Head up the various floors and you’ll be treated to more fantastic views beyond the balcony platform. In the 1970s the Khmer Rouge had the run of the place, which they frequently used as a hideout. In recent times several film directors have shot scenes in and around the station, such as Matthew Heineman with the 2002 crime thriller City of Ghosts starring Matt Dillon and James Caan. 5. December 2015. 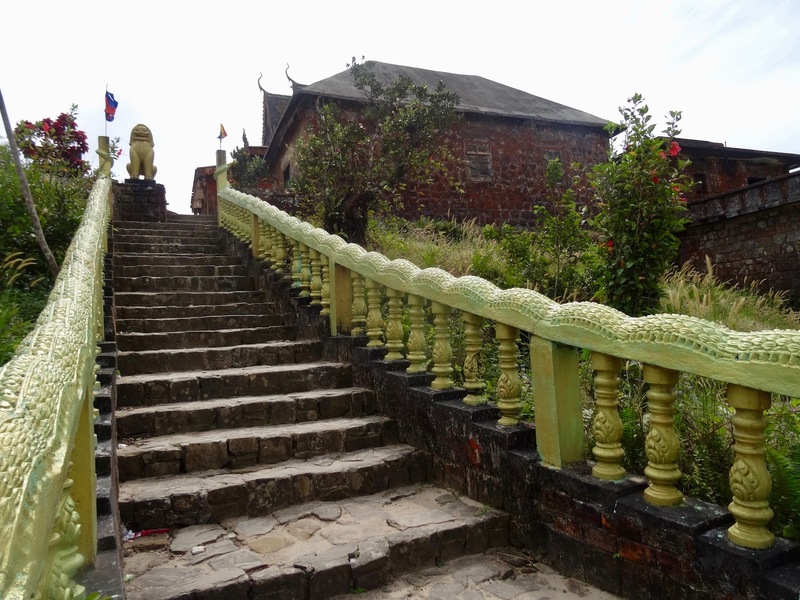 Our final Bokor National Park stop that day was an old Chinese Temple accessed via this grand stone staircase. 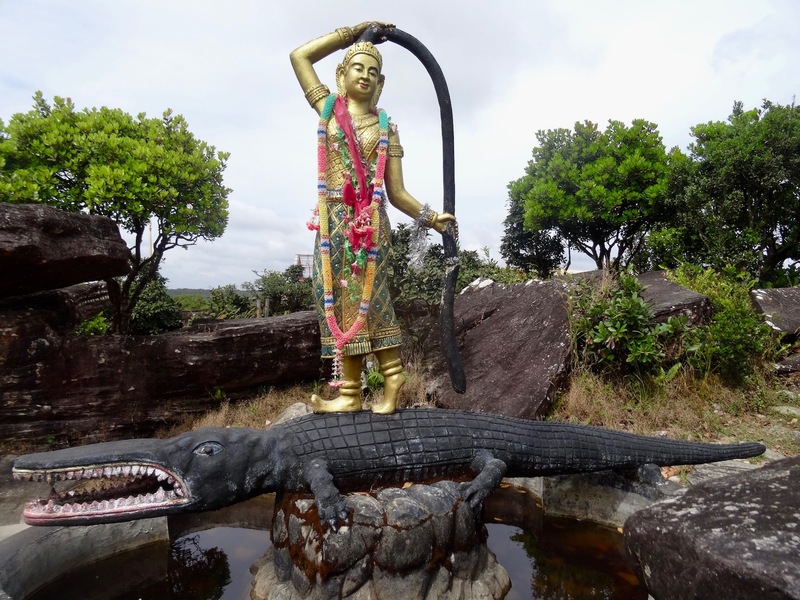 There’s also a well-kept garden with Buddha statues, a pond and all manner of exotic plants. These days the Chinese are tightening their grip on the area with the funding of high-end hotels and a new casino, much to the chagrin of local Cambodians who feel the last embers of the area’s history are now fading away altogether.